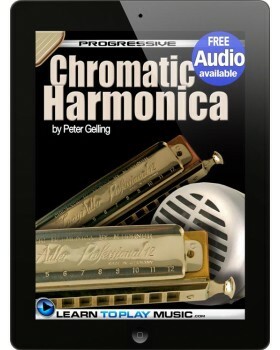 Progressive Chromatic Harmonica contains all you need to know to start learning to be a great chromatic harmonica player - in one easy-to-follow, lesson-by-lesson chromatic harmonica tutorial. 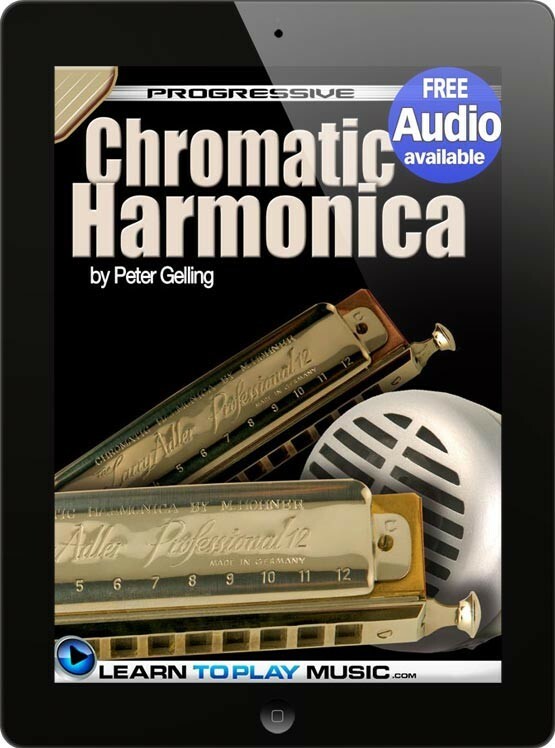 Suitable for all ages and all types of chromatic harmonica. Basic knowledge of how to read music and playing harmonica is recommended but not required to teach yourself to learn to play harmonica from this book. Firstly, you have to accept that some knowledge of music theory is needed to play a chromatic harmonica. There are instruments that you can 'learn by ear' but the chrom is not one of them. And you will need to be able to read music in order to use this book. Tablature is used for the first few lessons, but after that it's standard music notation all the way. Some basic theory and pointers on reading music are in the book. The author takes you through the process of learning the chrom by having you learn songs, including many he has written himself. Each song is a little more complex and involves new techniques. He guides you through various techniques, and the included audio is a huge help. The mandatory scale practice is here also, but it is presented in such a way as to remove much of the drudgery.